Although conductor and pianist Jeffrey Huard was born in the United States and has contributed significantly to the success of many Broadway musicals, his later career, embracing opera, music theatre, and the concert stage, has centered in Toronto, Calgary, and other prominent Canadian venues. After graduating from the University of Illinois and earning his Master of Music degree from Northwestern University, Huard headed for Florence, Italy, for advanced studies at the Scuola Lorenzo de Medici. He was subsequently awarded an Apprentice Grant from the National Opera Institute to assist Joan Dornemann at the Metropolitan Opera in New York. He served on the music staffs of Opera Omaha, The Chautauqua Opera, The Nebraska Opera Theatre, Wolf Trap Opera, and The Opera Theatre of St. Louis, and became Head Coach for the Canadian Opera Company, leading performances on tour and in Toronto. .
Huard first worked on Broadway as the keyboardist and Associate Conductor for The Phantom of the Opera in 1988. When the show opened for its ten-year run in Toronto in September 1989, Jeffrey Huard was its Musical Director and Conductor. 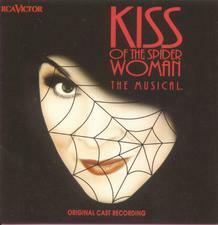 In 1993 he was back on Broadway conducting Kiss of the Spider Woman (and its Original Cast Album). Practically simultaneously he was conducting the Toronto revival of Show Boat, produced by Livent, Inc., and directed by Hal Prince, which was to reach Broadway a year later and win the Tony Award® for Best Musical. 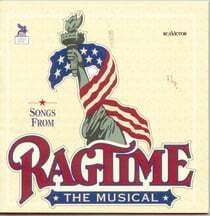 Back in Toronto in 1995, Huard conducted a production of Sunset Boulevard, and began the musical preparation, supervision, and partial recording of Livent’s blockbuster Ragtime, which would not reach Broadway until 1998. 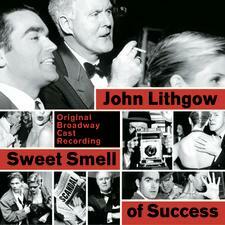 He supervised the Broadway revival of Bernstein’s Candide in 1997, and conducted the musical version of Sweet Smell of Success, starring John Lithgow, in 2002. Jeffrey Huard has been Music Director for Scott Joplin’s Treemonisha for the Opera Theatre of St. Louis, Madama Butterfly and The Pirates of Penzance for the Piedmont Opera in North Carolina, Lady in the Dark for the Toronto Operetta Theatre, and Sweeney Todd for the Calgary Opera. He directed the premiere of the new musical Pélagie at Toronto’s CanStage and at Ottawa’s National Arts Centre in 2004, and led the world premiere of Victor Davies’s operetta Earnest, The Importance of Being, for the Toronto Operetta Theatre in February 2008. Besides conducting the Edmonton Symphony in their Pops Series, and directing and arranging for the CBC, Huard continues as Music Director and Conductor for the Toronto production of The Sound of Music.